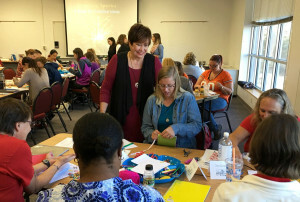 This Fall, I had the wonderful opportunity to work with Pre K teachers in District 11 in beautiful Colorado Springs. It was a busy day for us filled with information about the creative process, discovering young children’s unique abilities, and investigating the importance of a stimulating environment. 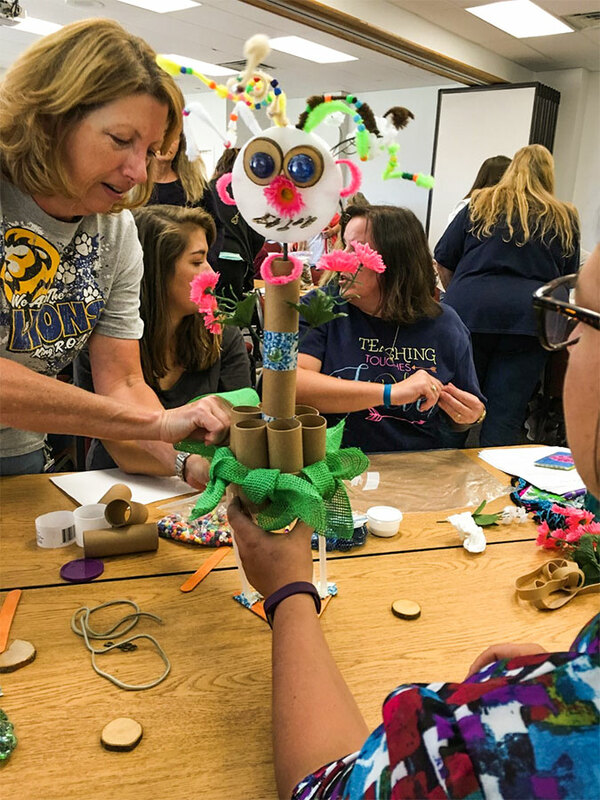 These teachers and their supervisors were bursting with so many ideas and possibilities – it was an exciting time for me. This experience reminds me again how early childhood teachers are creative and how young children are blessed in their classrooms! I was thrilled with these teachers’ insights, understandings, and desires to continue growing professionally. At the end of the day, each teacher selected an idea, a new addition, a learning center, or special way to expand the 4C’s in their classroom: Creativity, Communication, Collaboration, and Critical Thinking. In two months, I will return to these teachers and we will reflect on the creative projects they have implemented in their PreK classroom. Our next day together, January 3-4, 2017, we will be extending the discussions to include the Arts: Visual Arts, Music, Movement, and Drama. Integrating these areas will provide new opportunities for young to use creative thinking. Kathy Howell and her expert team leaders have organized a collaborative professional development plan to extend learning over time, and to support PreK Teachers’ inspiring efforts. I am so happy that I have been a part of this great effort and have the opportunity to continue working with these dedicated educators!